Solutions for the digitization with location intelligence. Field-Force and Mobility as a Service. Solutions for Delivery Logistics, Field-Force and Mobility as a Service. Navigation solutions that help companies achieve their destinations. We test, visualize and analyze location data. Lösungen für die Digitalisierung mit Location Intelligence. Lösungen für Delivery-Logistics, Field-Force und Mobility as a Service. Navigationslösungen, mit denen Unternehmen alle Ihre Ziele erreichen. Wir testen, visualisieren und analysieren Lokationsdaten. Navigation solutions that help companies achieve their destinations. We test, visualize and analyze location data. Professional navigation for Android devices with our new xMaps. Fully automated transport of goods and products will transform our world over the next 5 years. The beesy project from LOGIBALL is helping to shape this trend. Fast map update with localion B. Incredible fast. 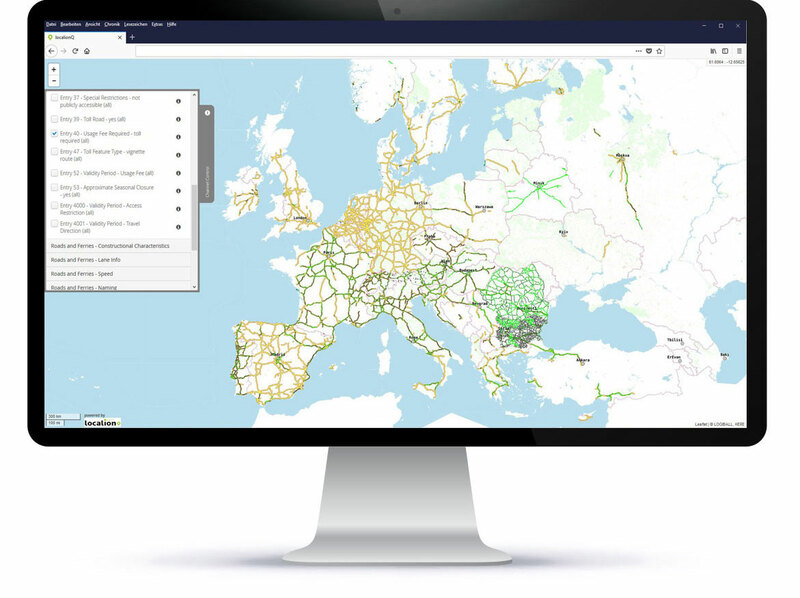 With a web application from reality into route planning in less than 1 second. LOGIBALL makes it much easier to test map updates in navigation systems by automatically generating thousands of test cases for search, map display, and routing functions, and provision in a machine-readable format for automated tests. These test cases hold the key to SOP approval. Legal requirements demand that the on-call service of gas suppliers be on site in case of an accidental, in a maximum of 30 minutes. LOGIBALL, in collaboration with ESN, has examined to what extent these specifications can be met. Numerous parameters are included in this analysis, for example the places of residence of the employees, travel times to potential locations and restrictions.